After years of promoting the state through various location analysis tools, Indiana is the first state to launch the completely redesigned location analysis tool known as ZoomProspector Enterprise, powered by GIS Planning. The free GIS web tool will promote the state for business relocation and expansion and offer access to a redesigned, user-friendly, data tool for corporate site selectors and business owners making investment decisions. ZoomProspector Enterprise changed the nature of online corporate site selection when it was launched 20 years ago, and the complete redesign featured by IEDC ensures it continues to define best practices for online GIS data tools. “We are always looking for ways to make it easier for businesses to choose and grow in Indiana, and this is another great tool in our toolbox," said Indiana Secretary of Commerce Jim Schellinger. "As the state's leading economic development agency, we always strive to operate at the speed of businesses, and this updated platform is another effort to make expanding or relocating businesses to our state as seamless, efficient and as fast-moving as possible." The newly redesigned website data portal is mobile-accessible and provides free access to property location and business data intelligence, target industry profiles, state and local incentive programs, infrastructure, education and training, as well as resources for start-up businesses. No registration or login information is required for use. 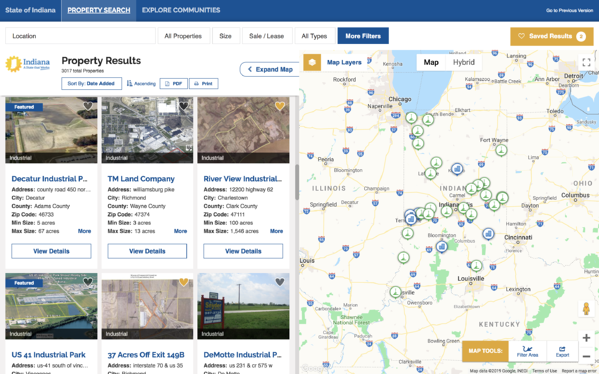 As the first state to launch the completely new, redesigned version of GIS Planning's ZoomProspector Enterprise software, Indiana solidifies its position as an investment attraction innovator. This newest iteration of ZoomProspector Enterprise displays map and property results side-by-side, much like Zillow and Airbnb. Users can save properties, reports and communities in different folders without having to create a username and login. Reports have been redesigned for readability and are easy to share on social media, email or in proposals. Data in the many reports can be sorted dynamically, and a variety of other tools make location information easy to analyze. Visitors to the IEDC website can map out specific business clusters, view data infographics, compare multiple communities and easily generate their own customized thematic data maps for analysis, sharing or export. The microsite and all data tools are mobile responsive, so anyone can take advantage of all features from any device. "Market research shows that more than 97 percent of site selectors research locations online, often without contacting the economic development organizations," said Anatalio Ubalde, managing director and co-founder of GIS Planning Inc., developers of the site selection software. 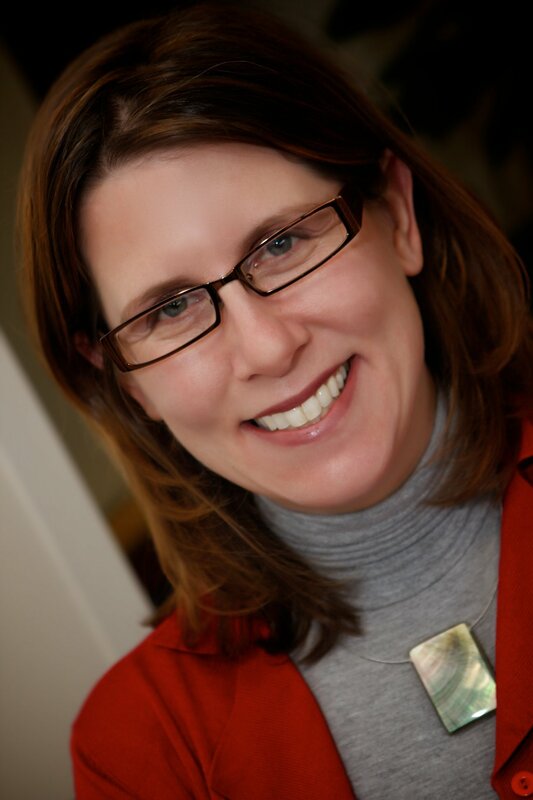 "The IEDC has ensured with this location analysis tool that the key information and analytical tools they need are always there. With this tool, the state of Indiana is open for business 24 hours a day, seven days a week." IEDC's new ZoomProspector Enterprise web tool can be accessed online.